In September, Prime Minister Shinzo Abe will become Japan’s longest serving leader. But already speculation is brewing that Abe will run for a fourth term as Liberal Democratic Party (LDP) president, which would likely keep him in the prime minister’s office even longer. It’s a prospect that some LDP factions say they are willing to fight for – but first they would need to revise party rules that prohibit a fourth term. LDP Secretary General Toshihiro Nikai hinted that his faction will support Abe possibly extending his term. He teased “it was entirely possible” to bend party rules as a special exemption. In 2017 the LDP changed its previous term limit at Nikai’s initiative to allow Abe run for a third time as head of the ruling party. Nikai is second in charge in the LDP after Abe. His recent comments have attracted backlash from inside and outside the LDP pointing to a hidden agenda behind his talk of a possible fourth term for Abe, which could help secure Nikai’s position as secretary general. At a press conference, Nikai justified his position, saying, “it’s hard to find someone else to replace Abe.” However, he did also suggest that the range of views within the party would need to be heard and that he hoped to come to a decision amicably. Katsunobu Kato, chairman of the LDP’s decision-making General Council, didn’t rule out the possibility when giving a speech in Tokyo in late February. He stated that while he didn’t know how such a tactic would be judged, he acknowledged the growing voices of approval from the Nikai-led LDP faction and said such a scenario could arise if demanded by citizens. 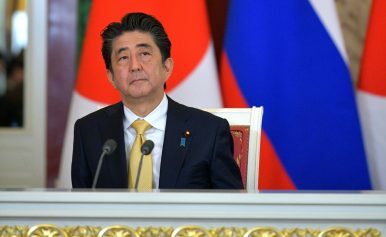 In the eyes of the wider public, Abe is seen as an experienced leader in handling international leaders and foreign diplomatic rows such as between Russia and the United States. While many lawmakers look forward to a post-Abe political arena, speculation about extending Abe’s term will likely discourage LDP members who are maneuvering to find a fresh face in their leadership. The House of Councillors election race, which is to be held in July this year, is the perfect opportunity for Nikai and his LDP faction to secure votes if they side with the front runner of the LDP leadership race. That strategy enabled Nikai to win his current title in 2016 and allows him to wield considerable influence in party management. In a recent public opinion poll conducted by Jiji Press, respondents were asked if it would be a good thing for the LDP to extend party leadership to four terms lasting 12 years. Only 9 percent replied affirmatively. On the other hand, in a current opinion poll asking if up to three terms was a good thing, the majority interviewed at 63.5 percent agreed.